This game will send you on a magical trip accompanied by new characters: Jack, the young king of the Seven Hills, and his beautiful companion Etain. Your quest for the Staff of the High Druid leads you on an incredible journey through the mysterious lands of the Druids, the sands of Babylon, the alchemists' country, and the rocks of Alamut. You will fight against evil desert genies, rebuild the Hanging Gardens of Babylon, save the alchemists' country from destructive dragons, and learn Etain's secret. Free Game features: - a game mechanic that combining the specifics of time management, simulator, and strategy; - a whimsical and engaging plot line; - four fairy-tale settings; - superb graphics and sound. 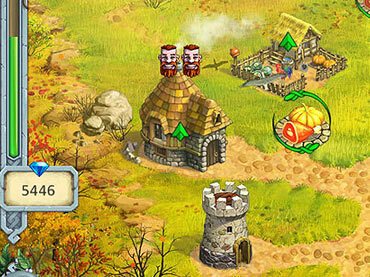 If you have questions about Druid Kingdom game, please contact us using this form.